While the big spindle grille is identical to the F Sport model, the intercooler behind it is larger and much more obvious. Although it’s not wearing obtrusive camouflage, the prototype doesn’t have too many features to set it apart from the standard LS. Actually, unless you look very closely, you won’t be able to notice any differences. So what makes it special? For starters, while the big spindle grille is identical to the F Sport model, the intercooler behind it is larger and much more obvious. Strangely enough, the side vents appear to be slightly narrower, but the same is somewhat different, which could translate into a different airflow route. Both changes could mean either a more powerful engine or a larger unit. 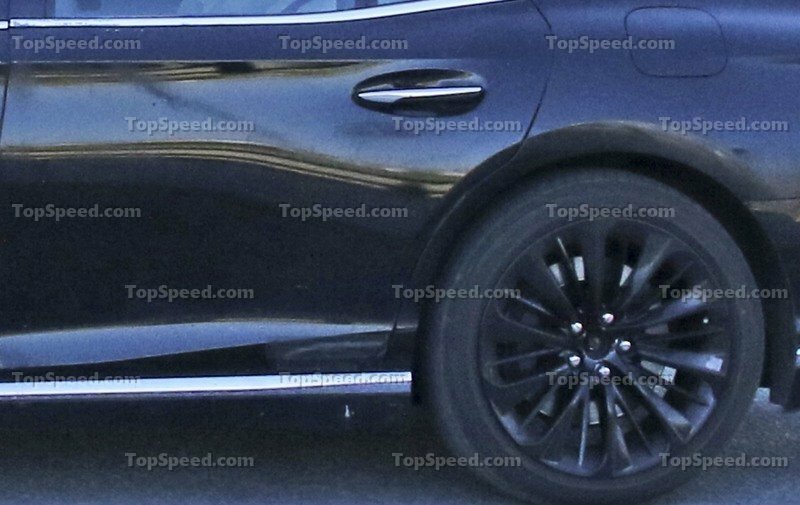 Interestingly enough the nose of the sedan also rides higher, and this is noticeable due to the front wheel gap. This could be just a strange setup for testing purposes, but it could also hint an all-wheel-drive system or even a hybrid drivetrain. The rear features a trunk lid spoiler, which isn't offered on neither the standard LS and the LS F Sport. 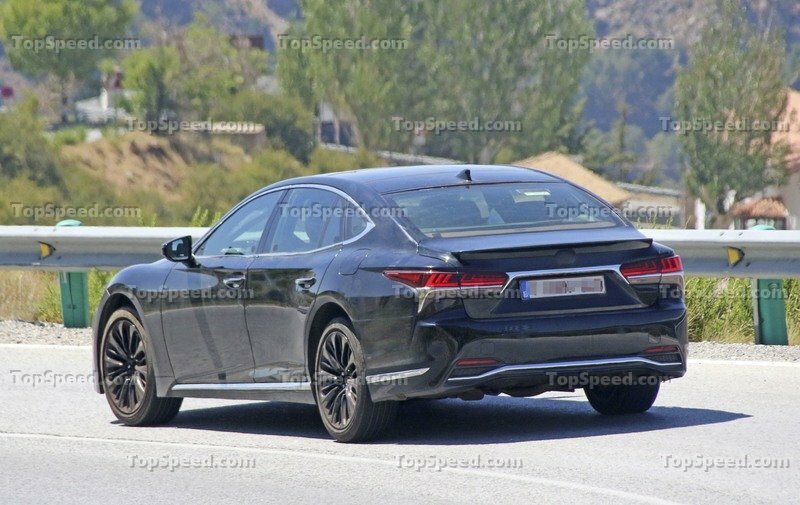 I can’t spot other telltale sings on the sides, but the rear features a trunk lid spoiler, which isn’t offered on neither the standard LS and the LS F Sport. The bumper is pretty much similar, but it’s missing the exhaust pipes. This might not seem surprising given the hybrid badges, but our paparazzi mentioned that the car was very loud. I guess it’s safe to assume that Lexus is trying to keep things undercover. Once the sedan receives its production body, we should see more aggressive bumpers front and rear, revised side skirts, and maybe even a lowered suspension. These should work well with the LS’ new design features, including the longer and wider stance with a stretched, ground-hugging appearance, the Z-shaped headlamps, and the large taillights. All told, the LS F should have what it takes to stand out in the lineup, but it won’t be significantly more aggressive than the standard sedan. 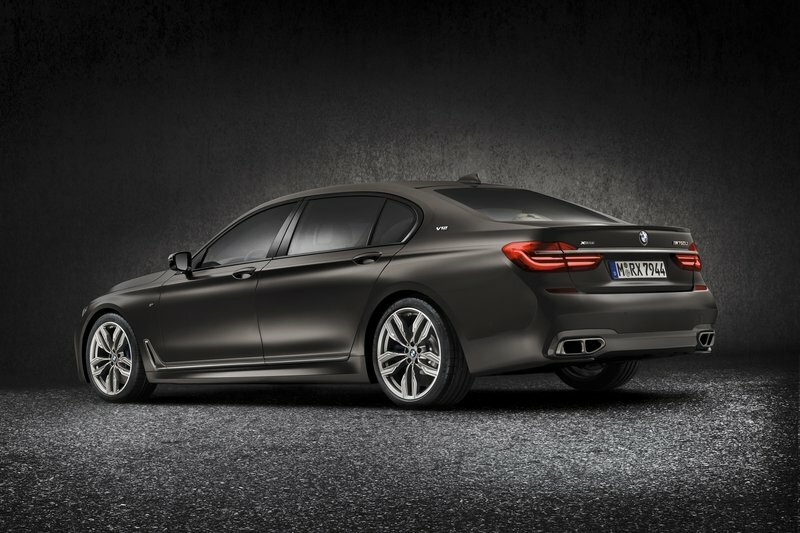 On the other hand, this isn’t an issue, as most performance full-size sedans have subdued looks. 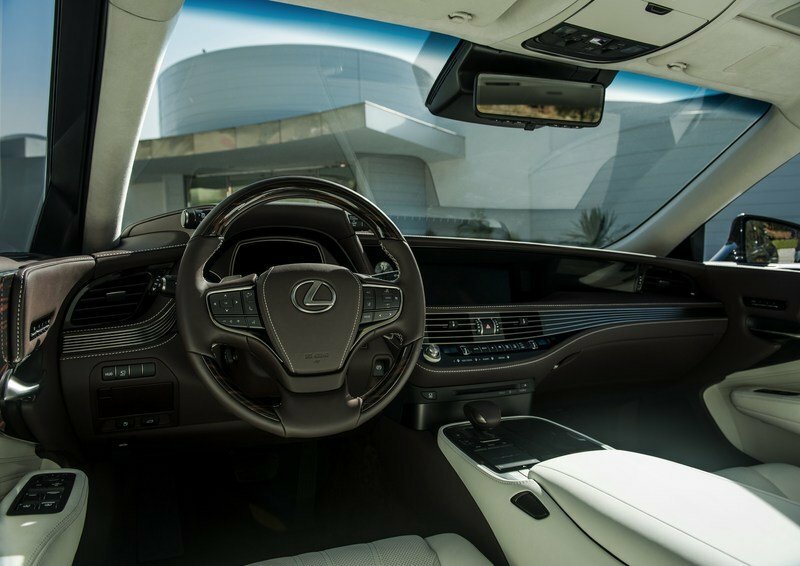 Note: standard Lexus LS interior shown here. Although fancy and comfortable, the standard front seats will be replaced by bolstered units with heavier bolstering. Our photographers didn’t get close enough to take shots of the interior, but it’s safe to assume that it will be identical to the standard model in terms of design and layout. 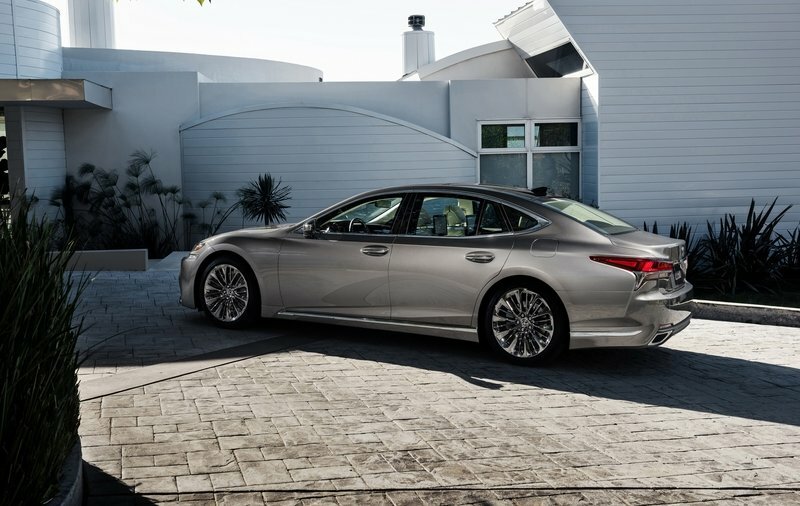 The fifth-generation LS has been redesigned from the ground up and now features a low-slung dashboard with horizontal lines and a split design between the massive infotainment screen placed on the upper section and the A/C control on the lower side. Also, unlike most cars in this class, the center stack and center console are separate units. There’s also a new seating design with 28-way power front seats, which also comes with heating, cooling, and massage function. A new 12.3-inch screen gives access to a lot of infotainment features, smartphone connectivity, and the navigation system. Note: Lexus LS F interior shown here. Further highlights will include aluminum pedals and carbon-fiber trim. On top of that, the F-badged model should get quite a few extras. Although fancy and comfortable, the standard front seats will be replaced by bolstered units with heavier bolstering for spirited driving. You’ll still be able to get the comfortable unit, but likely as a no-cost option. The LS F will also get a sportier steering wheel, likely with a flat bottom, and a bespoke instrument cluster with a more aggressive layout, especially in Sport mode. Further highlights will include aluminum pedals, perforated shift handle and footrests, Ultrasuede inserts on the seats and headliner, and carbon-fiber trim. 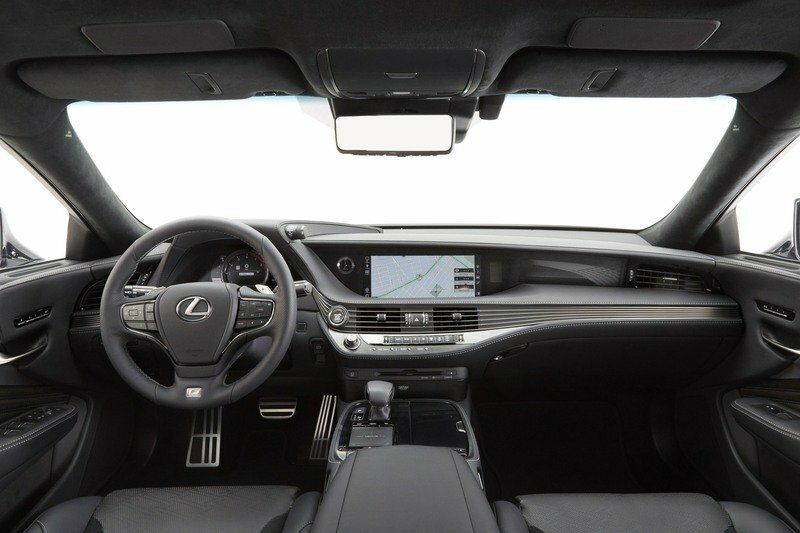 The 3D-surround Mark Levinson audio system with in-ceiling array speakers, and the massive, 24-inch heads-up display, both optional on the standard LS and F Sport, could be included in the standard package. 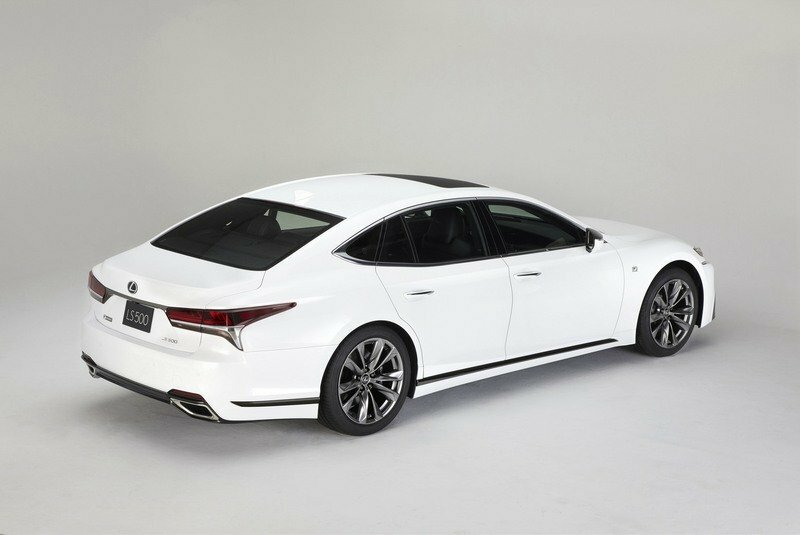 Word has it that the LS F could use a beefed-up version of the standard sedan's 3.5-liter V-6. The engine under the hood is still a mystery and we have three different scenarios to consider. 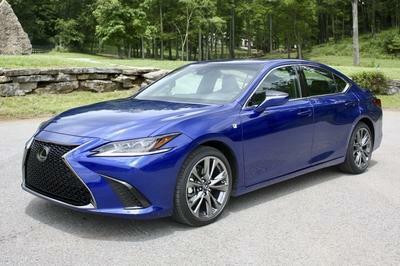 First up, word has it that the LS F could use a beefed-up version of the standard sedan’s 3.5-liter V-6. 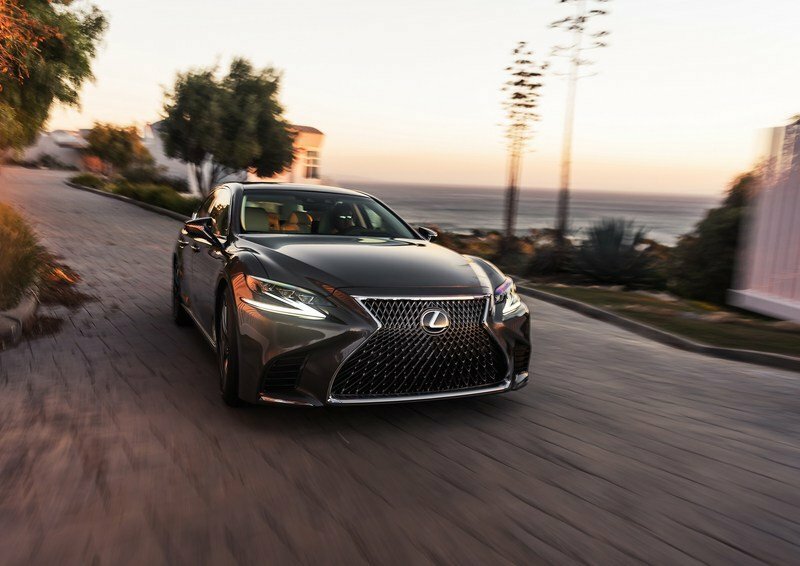 The twin-turbo unit is rated at 415 horsepower and 442 pound-feet in the regular model, but it should get an increase of around 20 percent for the LS F model. Specifically, look for this sedan to arrive with at least 500 horsepower and 500 pound-feet of torque, and even though this might not be as much as you get with the Mercedes-AMG S63 and BMW M760i xDrive, it will be enough to hit 60 mph in four seconds and make it the quickest LS ever built. Lexus may opt to use a new 5.0-liter V-8 rated at nearly 600 horsepower instead. However, Lexus may opt to use a new 5.0-liter V-8 instead of the V-6 powerplant. 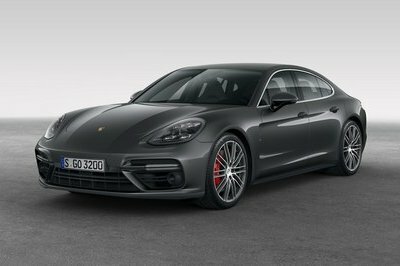 Also turbocharged, the larger engine would be capable of close to 600 horsepower, which would bring it closer to its competitors. 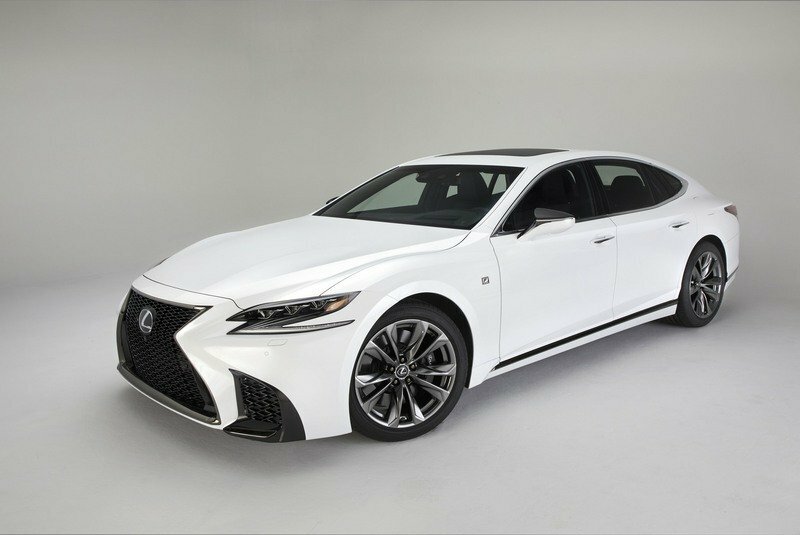 Naturally, Lexus could offer both the V-6 and V-8, which would result in two performance models, just like Mercedes offers the AMG S63 and AMG S65. 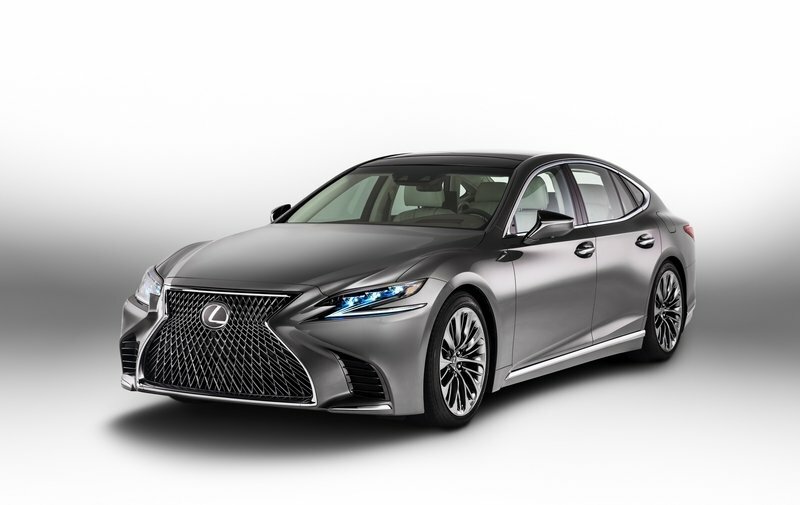 Finally, we can’t rule out a hybrid LS F. The LS 500h is already using a hybrid drivetrain, and while its 354-horsepower total system output seems weak compared to the German sedans, raising it to nearly 600 horses shouldn’t be an issue. 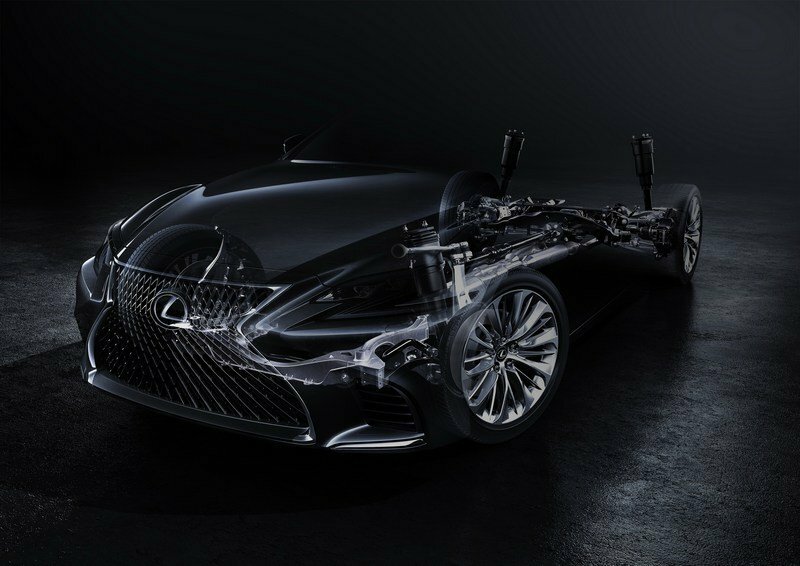 Again, Lexus could opt for two drivetrains for the LS F, a gasoline-only option and a hybrid version. This way, customers who want the performance but also care about the environment have access to a proper vehicle. If this happens, Lexus will basically raise above the competition, as neither Mercedes-Benz, BMW or Audi offer high-performance, hybrid versions of their full-size sedans. 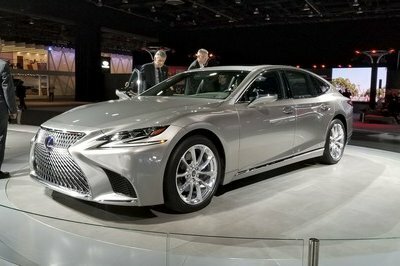 Given that Lexus has yet to announce pricing for the LS, it’s difficult to estimate how much an LS F model would cost. 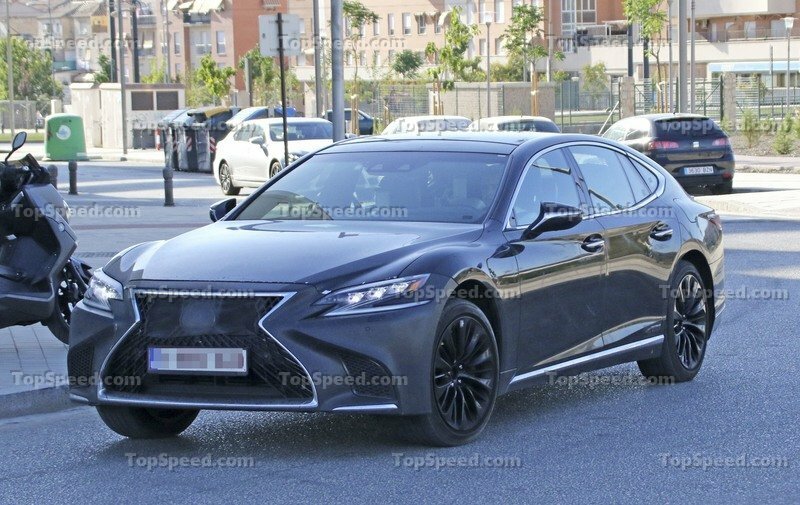 However, the base sedan is likely to retail from $80,000, which means that the LS F will cost well in excess of $100,000. With the Mercedes-AMG S63 priced from $144,700 and the BMW M760i xDrive retailing from $156,700, the LS F could fetch a solid $140,000 before options. 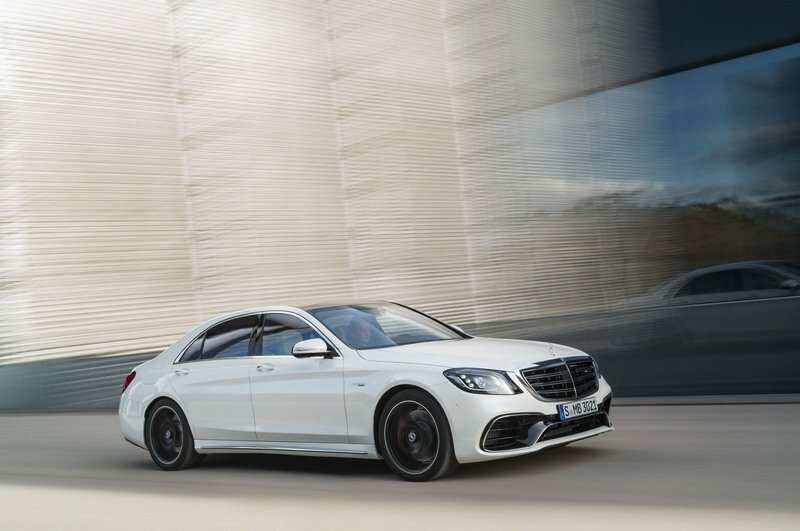 The Mercedes-AMG S63 is the most recognizable member of the high-performance, luxury full-size market, but that’s mainly because there aren’t any proper competitors to choose from. Although not particularly aggressive on the outside, it comes with loads of extra features on the inside and a beefed-up drivetrain that makes it as quick as a sports car. For 2018, Mercedes dropped the 5.5-liter V-8 in favor of a newer, twin-turbo, 4.0-liter V-8 that cranks out 603 horsepower and 664 pound-feet of torque. Charging from 0 to 60 mph takes 3.4 seconds. Pricing starts from $144,700. 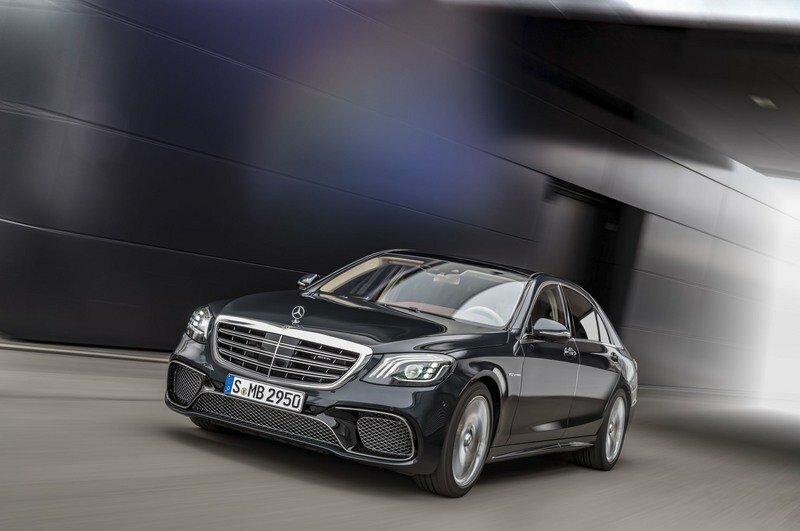 Drivers in need of more oomph can go with the AMG S65, which uses a 6.0-liter V-12 rated at 621 horsepower and 738 pound-feet of twist. 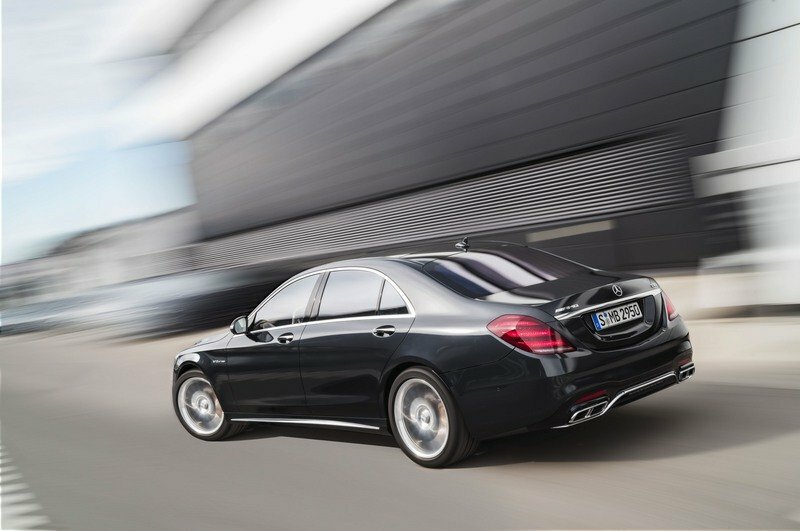 But despite being more powerful, the S65 is actually slower, due to the rear-wheel-drive configuration, hitting 60 mph in 4.2 seconds. It’s also significantly more expensive, coming in at $226,900. Read our reviews of the Mercedes-AMG S63 and Mercedes-AMG S65. With no M7 in showrooms for now. the M760i is the sportiest version of the 7 Series you can buy for 2018. 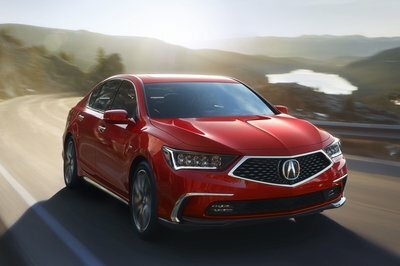 Based on the latest version of the full-size sedan, it benefits from the updated styling language, a host of M-specific body upgrades, and a fresh interior with state-of-the-art tech. There’s top-shelf wood, high-sheen metal, soft leather, an iDrive 5.0 infotainment system, a large touchscreen with ConnectedDrive, and "M" logos. 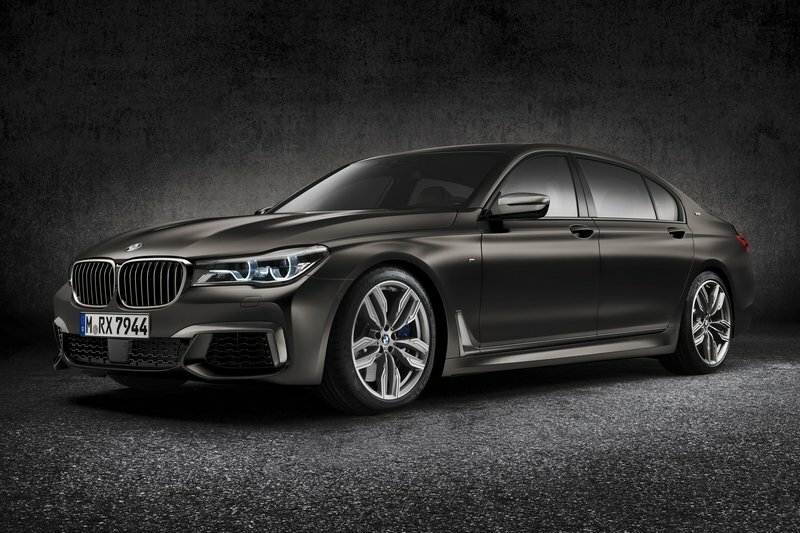 In short, it has everything it needs to give any luxury sedan a run for its money Under the hood, the M760i hides a massive 6.6-liter V-12 that sends 600 horsepower and 590 pound-feet of torque to all four wheels. 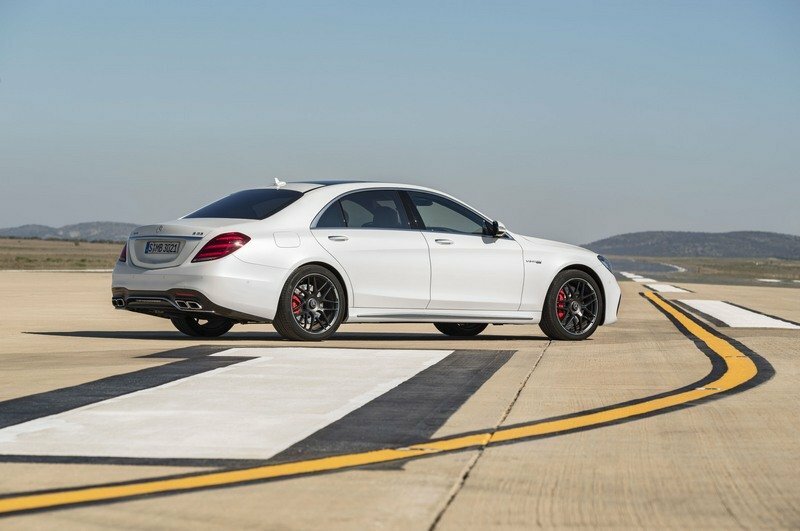 Hitting 60 mph from a standing start takes 3.9 seconds, a half-second slower than the AMG S63, while top speed is rated at 190 mph with the limited removed. Pricing is set at $156,700, a bit more expensive than the Mercedes-AMG S63. Read our full review of the BMW 760i xDrive. 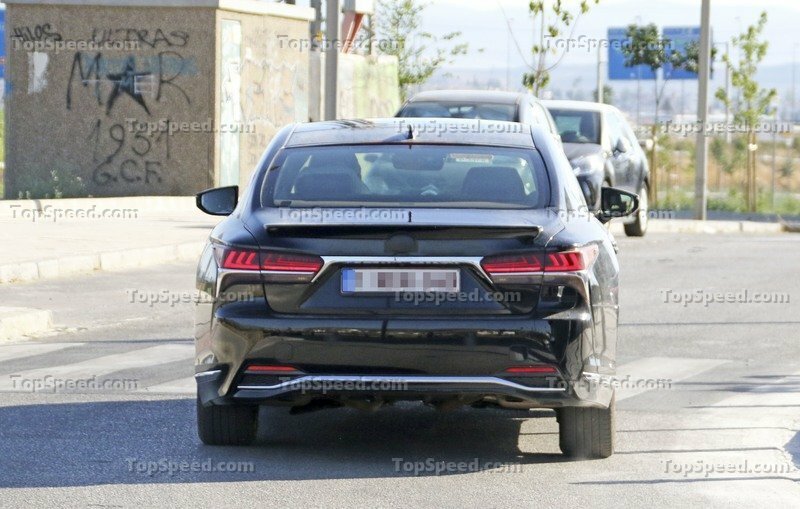 The M7 is not yet official, but it’s definitely underway with a few prototypes already spotted on public roads. 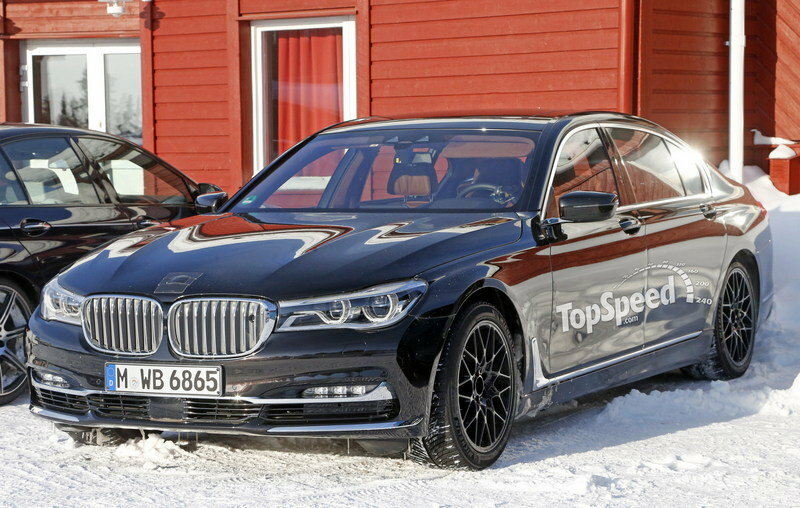 While it might not be significantly more aggressive looking than the M760Li, the M7 should get a notably more powerful 6.6-liter V-12, most likely tuned to around 640 horsepower and at least 610 pound-feet of torque. Coupled with an eight-speed automatic transmission and xDrive all-wheel-drive, the M7 should be able to hit 60 mph from a standing start in 3.7 seconds or less. A revised chassis with bespoke settings should also make it more suitable for track performance. The interior should also get a few unique features, including carbon-fiber inlays and BMW Individual upholstery. Expect pricing for this sedan to start from at least $170,000. 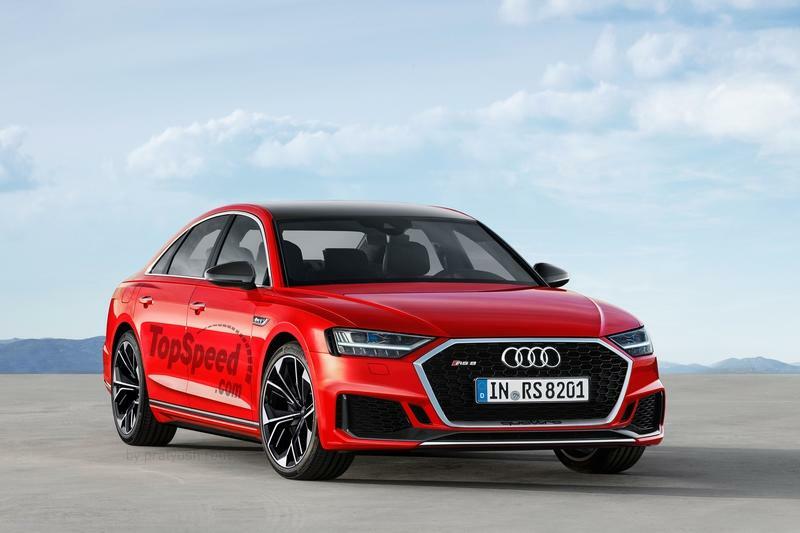 Much like BMW, Audi has yet to launch a competitor for the Mercedes-AMG S63, but there are growing rumors that the latest-generation will finally bring it in showrooms. An evolutionary design, the new A8 boasts a sportier exterior with angular lines and muscular haunches. 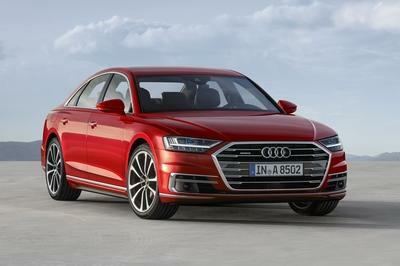 The interior was redesigned on a clean sheet and comes with the latest technology, including Audi’s infotainment system with Apple CarPlay and Android Auto and the new AI traffic jam pilot. It also has a remote parking system through which the driver uses a smartphone app to monitor and park the car via the 360-degree camera. Engine-wise, it could use either a revised, beefed-up version of the 4.0-liter V-8 or the newer 6.0-liter W-12 that debuted in the Bentley Bentayga SUV. Either way, expect around 600 horsepower and at least 600 pound-feet of twist. Pricing should start from at least $150,000. Read our speculative reivew of the Audi RS8. The latest LS is a solid full-size sedan that should be able to give its competitors a run for its money, but it’s pretty obvious that the Japanese firm is missing a performance-oriented version. This niche has been ignored for quite a few years with only Mercedes-AMG providing a proper model. With both BMW and Audi now working on their own super sedans, Lexus has no choice but to join the battle with an F-badged proposition. I have doubt that the LS F will be as powerful as the AMG S63, but maybe Lexus will make up for it in other departments. I guess all we can do right now is wait and see. 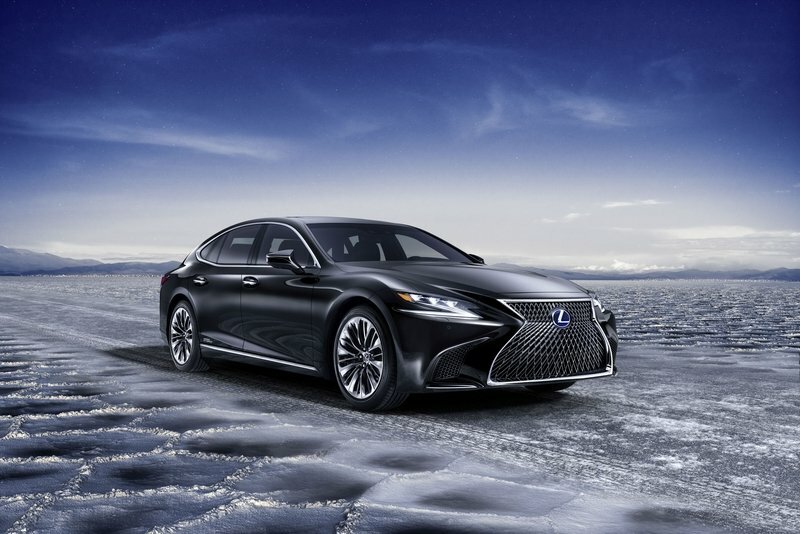 Read our full review on the Lexus LS. 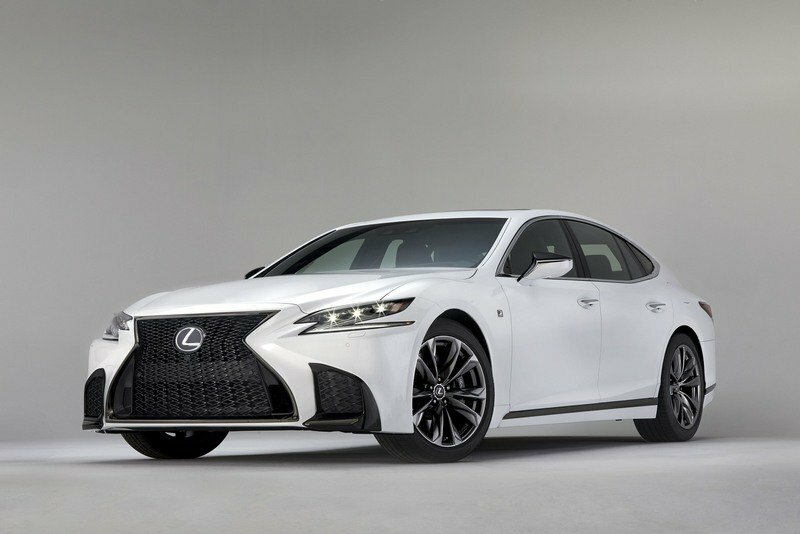 Read our full review on the Lexus LS F.
Read our full review on the Lexus LS 500h.